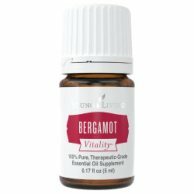 Bergamot Vitality Essential Oil Dietary Oil Tart Up! Bergamot vitality essential oil has fantastic citrus flavor which vitalizes and zests up baking, seafood and dressings with a drop! Get all the benefits of bergamot in this 5 ml therapeutic grade oil. Bergamot oil is what gives Earl Grey Tea its unique and fantastic flavor. And now explore all the ways to use it with Bergamot Vitality. Grilling, marinading, and creating dressings never has been this good! This oil is contained in the new Vitality Dietary Essential Oil Collection which includes over 25 oils for dietary use, cooking and more! Want to use Bergamot Vitality as a Dietary Supplement? Add a few drops to a vegetarian capsule with or without olive oil and take as needed. It's that easy. I designed this section so you could use it as a fun and easy reference guide for Bergamot Vitality Essential Oil. It will tell you how to use your oil and what to use it for. It will also provide you with some fun tips, testimonials and oil trivia! Want to Purchase Therapeutic Grade Bergamot Vitality Essential Oil? Go to the Oil Shop! Buy Bergamot Vitality Oil here! What are the Plant Properties? Soothing yet zesty! What are the Documented Uses and Benefits of Bergamot? Cooking, baking, grilling, marinading, dietary supplement. 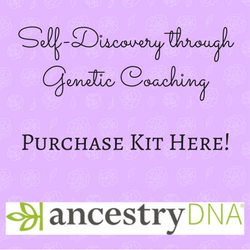 Want to Learn about Bergamot's Emotional, Spiritual and Other Uses? Then go to the Benefits of Bergamot Essential Oil page! Dietary Supplement: place several drops in capsule with olive oil and take internally. If dilution preferred, dilute 50:50 (one part essential oil to one part vegetable or olive oil). Place in favorite sauce, dressing or marinade recipe. Substitute lemon in your dressing or marinade with bergamot vitality and zest up your sauce!